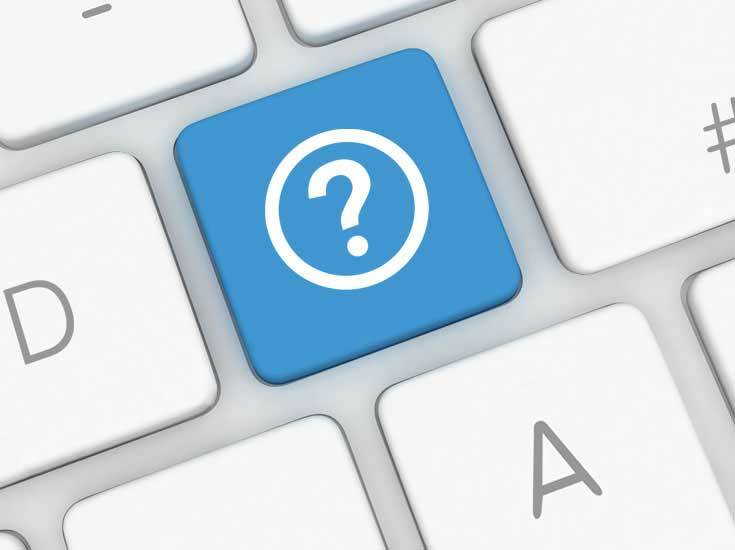 You can find answers about the most frequently-asked questions about spindle equipment below. Should you have questions which were not answered here, please come to us with your questions. For which applications are GMN spindles used? Are the spindles always designed as tool spindles? Are synchronous as well as asynchronous motors used? Does the motor basically sit in the housing between the bearing sets? What ball bearings are used? What types of lubrication are there for ball bearings? Does GMN also make magnet bearing, air bearing or fluid bearing spindles? What tool interface do the spindles have? Are the motor spindles fitted with sensors? Does GMN also offer peripheral devices and accessories for spindles? Is there support from GMN for commissioning motor spindles? Can GMN spindles be operated in both rotational directions? How is the rotational direction of the spindles defined? How can I reach GMN’s spindle department in an emergency (after work hours and on weekends)? Is GMN spindle technology closed during holidays? Can GMN give us the required converter setting parameters, or where can I find the FU data sheet? Why must my motor spindles be cooled? How are motor spindles cooled? 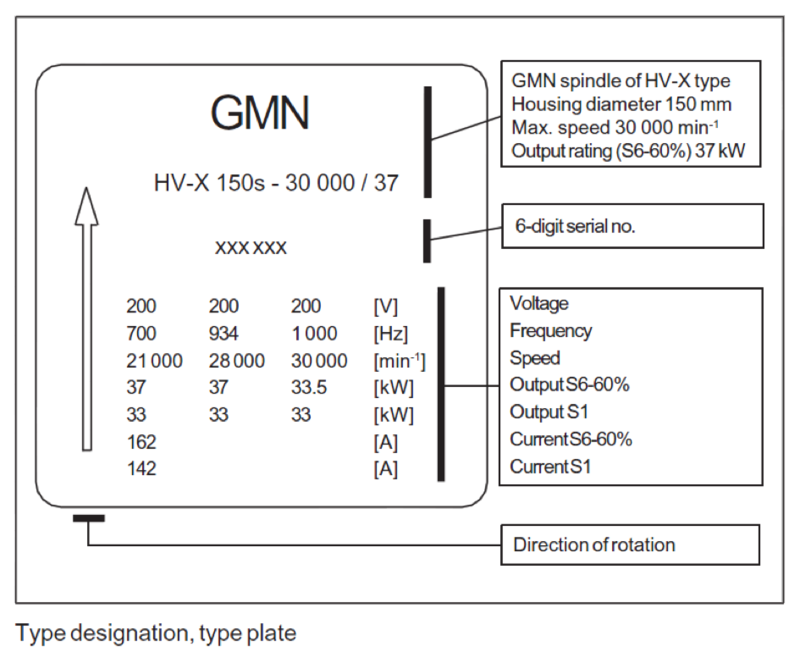 What information does GMN need for the layout of a customer-specific spindle? Can I supply several spindles with one lubrication unit? Where are the spindles manufactured? How long is the lifetime of the bearings in my GMN spindles? What should one consider when selecting a standard spindle? Why does my spindle need a serial number? Where can I find the serial number of my spindle? What does the engraved mark on the connectors mean? For grinding, milling and drilling applications, as well as all types of drives which must run in a highly-precise way. No. GMN also makes tool and dressing spindles for energy regeneration or test stand motors. In addition, GMN offers customer-specific solutions. Yes. As soon as the machining tasks require it, or if a favorable size present offers higher power density. No. There are spindle types in which the motor is flanged. In addition, GMN also makes spindles without motors (i.e. externally-driven spindles). As a rule, GMN hybrid ball bearings are used. The high-precision ball bearings made under GMN factory standards meet at least P4/ABEC 7 to P2/ABEC 9 precision classes; often the tolerances are even more narrow. Permanent grease lubrication or oil-air lubrication. No. GMN only produces rolled steel spindles. In addition to the standardized interface such as HSK, SK and PSC, some spindle types have a GMN standard tool interface. This is either characterized by an inner taper with a flat contact face, fitting bores with a flat contact face or an external taper to hold grinding disc flanges. Yes. There are, for example, sensors for monitoring the tool interface (for spindles with automatic tool change), for measuring the shaft displacement, for monitoring the motor temperature (sensor suitable for the controller or frequency converter to be used) and bearing temperature (PT100 sensor). On top, there ar sensors for measuring vibrations, sensors for speed monitoring and chime detection (AE sensors). Yes. Lubricators and cooling units are also available at GMN, such as plugs, cables, grinding arbors, grinding disk flanges and pulleys. Yes. If desired, a service technician can be sent to assist with commissioning and to answer questions to the operating personnel. Yes. If the tool interface has a suitable interface, such as HSK, SK and PSC, or twist protection. The spindle may only be operated in a direction of rotation when mounted by a thread in the center of the shaft. The rotational direction must be given by customers at the time of their query/order. GMN is closed between Christmas and New Year’s as a rule. We only have an “emergency staff” available at that time. GMN has its own know-how to calculate the needed parameters. Let us know as soon as possible which controller/converter is used (Siemens, FANUC, Heidenhain, …). This data sheet is part of our operating manual in custom-designed spindles. Motor- and high-frequency spindles are fitted with powerful motors. Heating takes place due to the current flow through the coils, which may not exceed a temperature which is appropriate to the insulation class. The motors must be cooled in order to fully use the performance capabilities of the spindles. Depending upon the spindle design, they are equipped with a fan (mounted directly on the spindle shaft) or, when designed for a high speed range, also with an externally-installed fan (for example, the TSEV series). High-frequency spindles have internal cooling channels. As a rule, suitable cooling units are used to discharge the heat using cooling water or thin-flowing oil, which can also be obtained from GMN. All of the details available at the time of the question (maximum allowable dimensions, motor performance, speed, interfaces, etc.). All open questions can be clarified with our technical service and our representatives. Yes. GMN lubrication units can supply several spindle bearings with sufficient lubricating oil at the same time. GMN spindles are exclusively produced in our home factory in Nuremberg, Germany. Your GMN spindles are designed for daily, rough operation and a long lifetime. All outstanding questions can be clarified together with our field service and representatives. All processes in connection with each spindle are maintained in our database. In case of possible technical improvements in the course of the further development of our products, we can ensure that these are taken into account when servicing your spindle. There is a nameplate and type designation engraved on each GMN high-frequency spindle on the spindle housing. The nameplate contains the electrical operating data for the spindle (see figure). All nameplate data must agree with the relevant data of the respective test protocol.